Here at McCarras Londis and Expert Hardware Stores in Clonmel we offer a range of Light Hardware supplies <> Ironmongery <> Garden accessories <> Paint <> Safety clothing <> D.I.Y products <> Key cutting <> Hand tools <> Household interiors <> Plumbing accessories <> Pet accessories <> Rat and mice control products <> A selection of gifts and much more. McCarra's Hardware in conjunction with Londis Stores is a proud member of Expert Hardware, the only organisation of it's kind in Ireland catering for independently owned Hardware & D.I.Y Stores. So if you require advice on any D.I.Y project or if you're a tradesman who wants to deal with a knowledgeable and expert team, then you've come to the right stores. 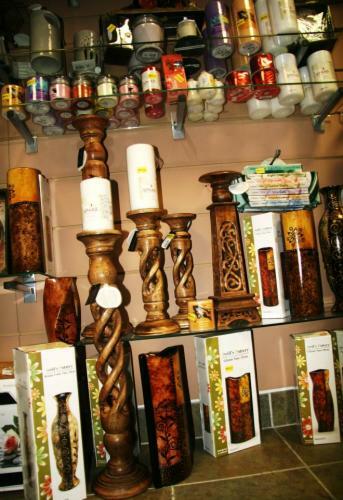 Our stores is located in Newcastle, Clonmel, Co Tipperary. We now stock The Worker Complete Dog Nut which is keenly priced. "Personal Serving & Top Customer Assistance"
I'll contact my chemical supplier to find out the best possible chemical to use so within the next day or two I'll have more info for you. Thank you for your interest. Chat soon. 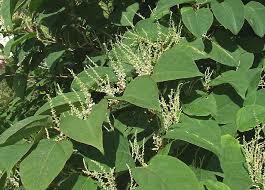 Hi do you have any chemicals to get rid of japanese knotweed. 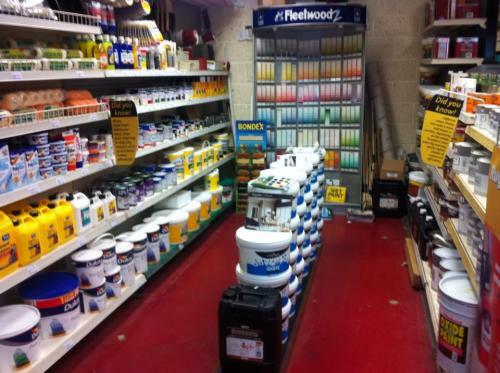 HARDWARE <> Our hardware department is fully stocked out offering everything required to complete any building project. 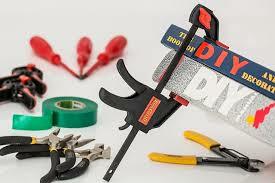 We cater also for all you D.I.Y enthuses. Perfectly capable to supply all tradesmen and building contractors from a start to a finished project. PAINT <> Our paint unit has the full range of interior and external paint products with a variety of brand names to pick from. We offer a multitude of colours with an expert consultation service to ensure you choose correctly. ELECTRICAL <> We offer all your electrical needs from a face tester to an electrical appliance. 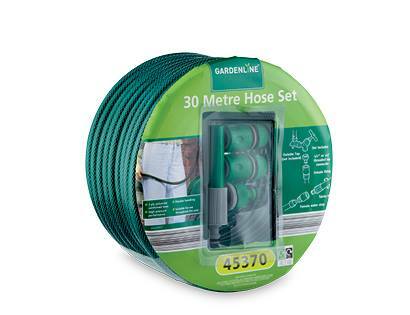 GARDEN SUPPLIES <> We are a large supplier of an extensive range of garden care material and products which covers all aspects of the gardening needs. IRONMONGERY <> We have the solutions to the all your Ironmongery needs from door knobs to hinges to locks to letter plates. We cater for the trade, commercial and residential sector. 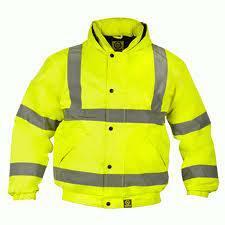 SAFETY CLOTHING <> Don't take any risks get your safety clothing and footwear here at McCarra's. PET ACCESSORIES <> We stock a wide range of needs for your dog offering a variety of dog nuts for you to choose from. PLUMBING <> We have an excellent selection of plumbing supplied by a friendly workforce who are capable of providing any advice you may need. HOME INTERIOR ACCESSORIES <> We offer customers an selection of products for every season. For cooking, baking, occasions such as christenings, birthdays etc we have a stylish range of classic, contemporary and quirky gifts. We are proud to be serving the local community and passing trade here in our Londis Stores Newcastle. Our Londis stores is shaped by and for the local community. 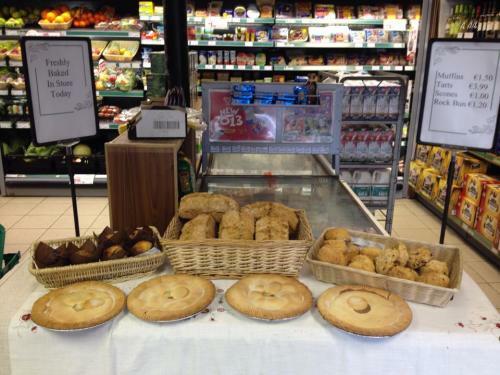 We stock everything you want as a grocery stores offering every day deals at amazing value with freshly baked bread, muffins, scones, apple tarts, rock buns and more. 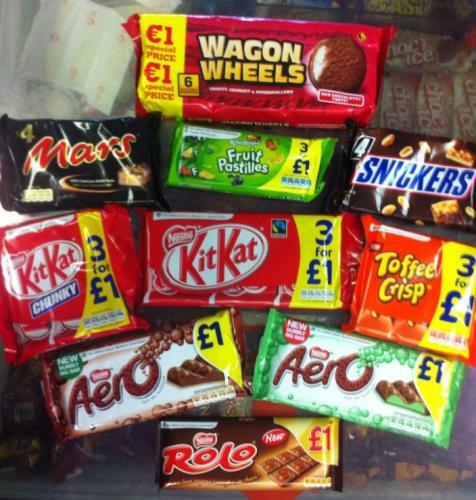 We have great deals on sweets and treats and everything you need for your Barbee Que needs. We are also agents for An Post & The National Lottery. Stocked up and ready for them cold nights!!! 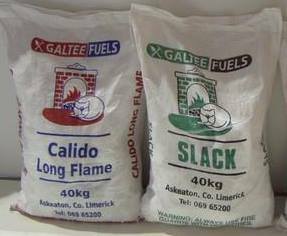 Get your Calido coal from only €16.50 per 40kg bag! Quality Coal High Heat output. Columbian coal has everyone talking.. it's not only great value but excellent quality as well. It's high heat output will keep you warm this winter and it burns out completely leaving only easy to clean ash in your grate. Try it out..
PRICE ON COLLECTION ONLY - RING OR CALL IN TO STORES TO PLACE ORDER. All staff are clued-in and willing to help you. Better purchasing power means better prices for you. Delivery service from most stores. If we don’t have it in stock, we can & will get it for you. All stores are part of & contribute to their community. Committed to helping you to give your home and garden the care it needs, we sorce Irish made products as best we can in turn we give back to the Irish eccommony. 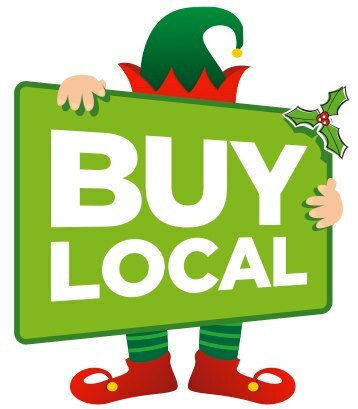 By buying local and Irish products you save Irish jobs. 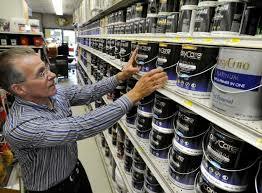 Supplying home improvements, garden care and your local grocery stores for the homemaker, D.I.Y'er, and tradesmen alike. We pride ourselves as a supplier of the best quality products, excellent customer service, value for money and Irish smade materials here in Newcastle Clonmel Co Tipperary. 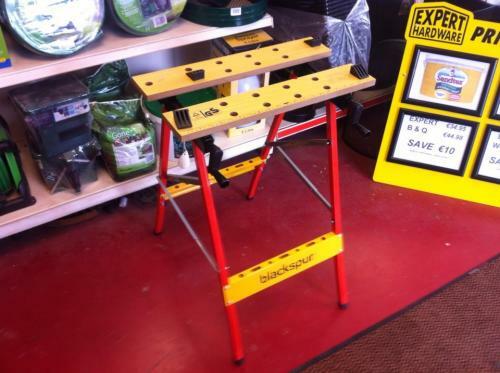 HARDWARE <> Our hardware department is fully stocked out offering everything required to complete any building project. 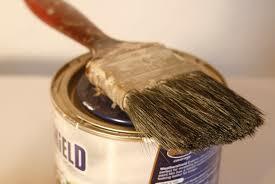 We cater also for all you D.I.Y enthuses. 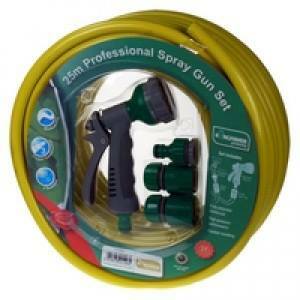 Perfectly capable to supply all tradesmen and building contractors from a start to a finished project. PAINT <> Our paint unit has the full range of interior and external paint products with a variety of brand names to pick from. We offer a multitude of colours with an expert consultation service to ensure you choose correctly. 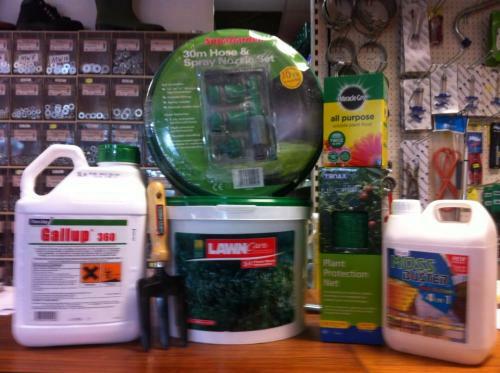 GARDEN SUPPLIES <> We are a large supplier of an extensive range of garden care material and products which covers all aspects of the gardening needs. IRONMONGERY <>  We have the solutions to the all your Ironmongery needs from door knobs to hinges to locks to letter plates. We cater for the trade, commercial and residential sector. PLUMBING <> We have an excellent selection of plumbing supplied by a friendly workforce who are capable of providing any advice you may need. HOME INTERIOR ACCESSORIES <> We offer customers an selection of products for every season. 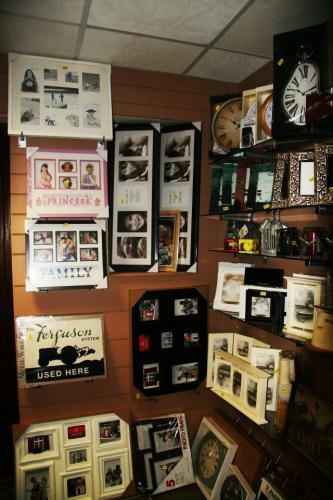 For cooking, baking, occasions such as christenings, birthdays etc  we have a stylish range of classic, contemporary and quirky gifts.